EcoTech Marine is bringing a wide range of NYOS coral and marine fish feeds to the US market. Uncompromisingly Pure. Certified Organic. Finally, the Food Your Reef Deserves. Liquid food can be kept UN-REFRIGERATED (except PhytoMaxx)! Fresh-caught copepods are processed using a patent-pending method that preserves them while maintaining ultra-nutritional fatty acids and proteins. Additionally, the copepods are coated with an ultra-thin natural membrane that ensures the good stuff gets into your fish and coral and not into your skimmer. 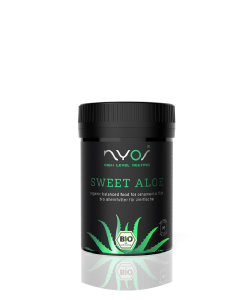 An extra touch of valuable organic aloe vera and important omega-3-, -6-, and-9- fatty acids – all certified organic – makes the naturally soft NYOS® SWEET ALOE a special treat for your fish! A liquid zoological plankton concentrate for direct and immediate feeding, ARTEMIS is high-quality Artemia salinan (0.2-20mm). This provides ideal nutrition for numerous seawater fish and LPS corals. 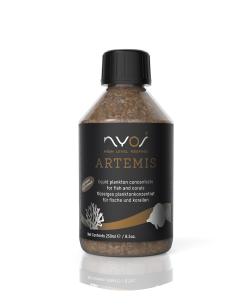 ARTEMIS improves marine fish vitality and accelerates coral growth. A carefully selected blend of organically farmed high-quality algae (wakame, chlorella, and spirulina) makes NYOS® TRUE ALGAE truly unique. Treat your algae-eating fish to these delightfully soft granules. A liquid zoological plankton concentrate for direct and immediate feeding, CHROMYS is high-quality Mysis relicta (0.2-20mm), which provide the perfect nutritional content for numerous marine fish and LPS corals. CHROMYS strengthens seawater fish vitality and accelerates coral growth. Bright red organic goji berries are what makes NYOS® WILD GOJI special. A soft, organic, color-enhancing food rich in vitamins, carotenes, and xanthines will make your fish healthy and rich in color. Planktonic microfeed. NYOS® INSTANT PLANKTON is a highly developed plankton, structured as microfeed clusters. 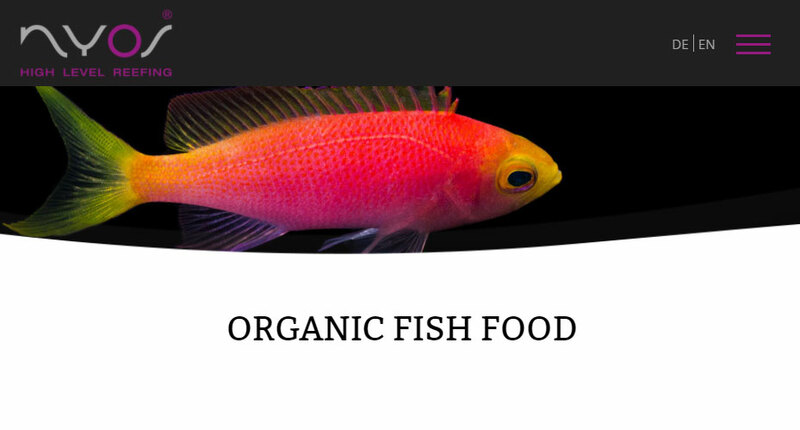 The perfect food for corals, invertebrates, and marine ornamental fish. A neutrally-buoyant food that will stay suspended for consumption in the water column. 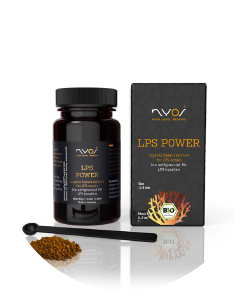 NYOS® LPS POWER is a 100% certified organic soft granulate especially for LPS corals. It is specially adapted for LPS corals such as Acanthastrea and Scolymi to provide corals with additional strength, improved colors, and accelerated growth.